Interest charged by a creditor on an overdue account would be debit or credit? A: To answer this question you first have to work out what interest is. 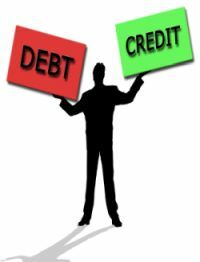 Is interest charged by a creditor an asset, income, expense, liability? The answer is that this is an interest expense . It is a cost to your business. Even though you are not paying the creditor cash straight away, it is still a cost or expense and it will result in paying more money out of the business at some point in the future. Expenses are always always always recorded on the left side , the debit side. That's because they're the opposite of owner's equity , which occurs on the right side (credit). This would be the right entry. How do we record interest charged to put debtors in an overdue account in our journals?